Other Names: None Location: Duval County Campaign: Expedition to St. John’ s Bluff (1862) Date(s): October 1-3, 1862 Principal Commanders: Brig. The Battle of Saint (or St.) John's Bluff (October 1–3, 1862) saw a Union detachment defeat Confederate forces in Duval County, Florida, forcing them to retire, and helped secure Federal control of the region, during the American Civil War. Early in the war, Confederate Brig. Gen. Joseph Finnegan established a battery on St. John's Bluff near Jacksonville, Florida, to stop the movement of Federal ships up the St. Johns River. This was part of a series of Confederate defensive works that had been constructed near Fort Caroline. But once Union forces had occupied the town of Jacksonville, it became necessary for them to also reduce the enemy batteries along the St. Johns River to consolidate control of the general area. Union Brig. 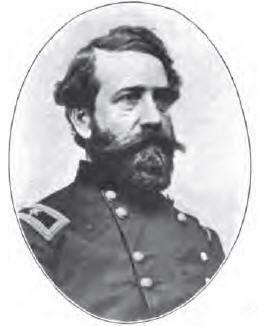 Gen. John Milton Brannan embarked with about 1,500 infantry aboard the transports Boston, Ben DeFord, Cosmopolitan, and Neptune at Hilton Head, South Carolina, on September 30, 1862. The flotilla arrived at the mouth of the St. John's River on October 1, where Cdr. Charles Steedman's gunboats—Paul Jones, Cimarron, Uncas, Patroon, Hale, and Water Witch—joined them. By midday, the gunboats approached the bluff, while Brannan began landing troops at Mayport Mills. Another Union infantry force landed at Mount Pleasant Creek, about five miles in the rear of the Confederate battery, and began marching overland on October 2. Outmaneuvered, Lt. Col. Charles F. Hopkins, the local Confederate commander, abandoned the position after dark. When the gunboats approached the bluff the next day, its guns were silent.